She just opened her own store selling designer perfumes for $25. It's called PopScent and the oils are all made to match the perfumes we all love. She designed the bottle, the website, everything (she even drew the girl!)... and it all looks fabulous! All of them are made in the USA, and because there is no patent on designer fragrances, these perfumes smell exactly the same, but are a very small percentage of the price! Please leave a comment to tell us all of your entries so we make sure you are counted. If you are selected, I will put you in direct contact with PopScent and you will receive a free bottle of which ever perfume you choose! A winner will be selected on Monday, October 10th at 9am. These are my very dear friends from college. Michelle, Casey (PopScent creator), Myself, and Adrianna. I adore them! 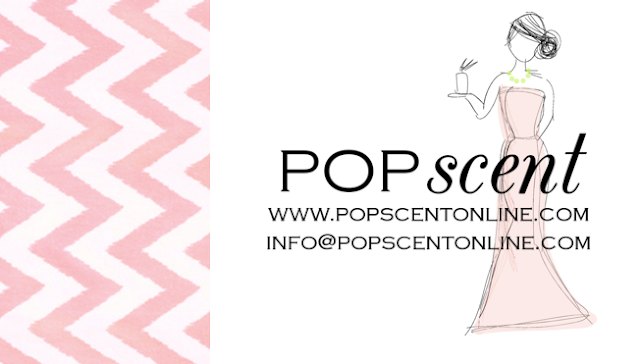 For disclaimers about PopScent, please visit their website. I'm a follower and I would use Miss Dior Cherie! I of course follow! Chanel Chance is my fave!! I will follow PopSugar on Twitter and You know I follow you LOL I'll blog about the giveaway tomorrow for ya!!! WOW! What a great giveaway :) fingers crossed I win. 1. I follow you & I love Juicy's perfume! i LOOVE miss dior cherie by dior!!!!! i LOOVE miss dior cherie by dior!!!! & i like you on facebook!!!! Yaaa Casey! I'd pick the J'Adore! 3. I just tweeted about it!! 1. I love your blog!! 5. I LOVE Miss Dior Cherie by Dior!! Love chanel chance :) i follow you both on twitter and facebook :). And absolutely love her perfume design! i follow and i'd choose Miss Dior Cherie! Oops sorry wrong link for the blog post! I follow your blog :) I'd probably have to choose L'eau d'Issey by Issey Miyake!! i'm so proud of her. she always wanted to be a business owner and look and her actually doing it! 1. I'm a Then I Got To Thinking Follower and I would choose Miss Dior Cherie by Dior! I love that scent and have always wanted it! thats awesome! I would go for Dior!! All the best to your friend and her career! I would SO choose Viva La Juicy! What a great idea! Hi, I'm a follower of your blog. I love clinique happy heart, but not happy... and I've never used any of these other smells before so I think I would try J'Adore by Dior! !Such an awsome giveaway, thanks for hosting it! I will blog about it Wednesday (1)! I will blog about it wednesday (2)! I will blog about it wednesday (3)! I will blog about it wednesday (4)! I will blog about it wednesday (5)! I LOVE perfume! Count me in for an entry! So fun! I would choose Flowerbomb :) Love this concept! Just "liked" Then I Got To Thinking on FB via Radiant Republic! Yay! So happy to have discovered your cute blog via A Day in the Life! This is such an amazing giveaway - and such a creative idea! I literally JUST ran out of my Burberry perfume, so I would definitely love to restock on that! :) (And obviously I follow your blog). This is pretty much the coolest business idea ever. Love everything about it. I would be torn between Flowerbomb and Light Blue. Love both to pieces. I would choose juicy Couture! Love your blog! I'm a follower! I would love Flowerbomb or juicy couture! What a great idea. I would pick the Michael Kors. Follow you on blogger and facebook! i follow popscent on twitter! i follow and then i got to thinking on facebook! 1) I follow your blog and I would pick Miss Dior Cherie! I would love to try the Michael Kors by Michael Kors!!!! I follow Then I got to Thinking! i would choose Coco Mademoiselle! What a fun giveaway girl and you know I follow your blog! Following pop sugar on Twitter! I would choose Pink Sugar! My favorite. Followed on blogger, twitter, liked it on Facebook, and tweeted about it! How awesome for your friend! I follow your blog and I would probably choose one of the Chanel scents. 1. I would choose Amazing Grace by Philosophy ... my all time fave! following you on fbook and I like Dior. Love your blog and congrats to your friend on opening her own business. I'm a follower and it'd be Juicy Couture for me! Love both of those scents! I'm a follower and I would pick the Burberry scent. I need a bottle of Flowerbomb! JB got me a bottle 3 years ago and it's my fave but I can't afford to buy another one! I followed her on twitter and your blog on FB, left a comment, and tweeted about it. By my calculations, that's 5 entries for me! Fingers crossed!!! I would pick the Juicy Couture scent. I just found your blog - and lucky for me it was perfecting timing! 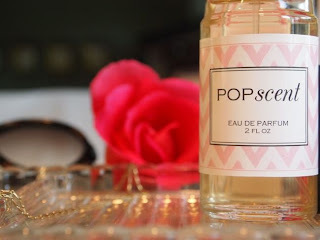 I JUST ran out of my Coco Mademoiselle and just purchased a bottle from Pop Scent! If I win, I am going to try Light Blue next! I follow Pop Scent on twitter! I follow you, I'd pick Light Blue by D&G! Oops I was looking at the perfume list again and said Pop Sugar instead of Pop Scent ;-) but I tweeted about it as well! and i'd love the Burberry originally by Burberry... it's what i wore on my first date with the bf, and i'm all out! 90 entries?! Holy moly! I didnt enter originally b/c I couldn't decide which perfume I wanted! ha! Sheez. I also follow PopScent on Twitter! I would totally do Light Blue! Or Burberry! See.. I still can't decide. I'd LOVE either one. Yup. That's my decision. haha! And ps.. what a fun company! 5 entries for me please! Exciting! -I follow you and would choose Flowerbomb! Great giveaway! I've been following you forever and I think I'd choose Pleasures. Estee Lauder Pleasures Delight is one of my favorite scents. Great giveaway Tracy. What a good idea. I'm a follower :) would love CocoM by Chanel I've been wanting to try it!! I'd choose the Issey Miyake! And I did #1-4. Thanks for this giveaway!